After each motor show Bart and I put together our thoughts on the latest debuts, looking at them from the perspective of someone who’s passionate about motoring, but also trying to peer into our crystal balls and see whether each model will be a market success or a dud. This time, though, we’re running the article off-season, following a period of a few weeks when a few crucial cars made their debut. 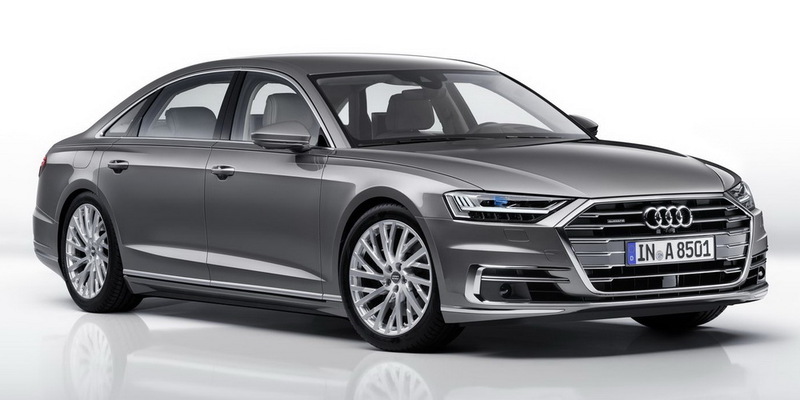 To me the new Audi A8 is a very frustrating car, because there is so much here that is interesting and truly cutting-edge, and yet the end product is not that you would call a “slam dunk”. On the plus side, the new car will offer the possibility (key phrase, will come back to that latter) of Level 3 autonomous driving, it features a top-drawer mechanical setup with a fully-hybridized engine lineup, a new design direction and, as always, a stunning interior with a world-first feature… the foot massager for rear passengers. OK, so that last things is a bit of a joke, but you sort of have the feeling that they threw the kitchen sink at the A8 to make it stand out against the 7-series and S-Class. But it’s not whether they’ve done enough, it’s whether they did it well enough that has me worried for this model. And so, the much vaunted “new design direction” amounts to little else than, at the risk of oversimplification, some extra creases, a super-wide front grille and a car-wide LED strip at the back. The interior is also a mixed bag: it features some really bold shapes and touch-screen controls that appear to be as good as it gets, yet overall it’s hard to escape the feeling that it all feels like a Passat Plus Plus. And to top it off the claim of Level 3 autonomy is misleading – yes, the car has the capability to do it, but right now no country will allow it, so in effect you’re buying tech you can’t (yet) use. I have to agree with Kriss on this, the A8 has never reached the same status as its two German rivals, even though the Audi brand as a whole has moved up to par with Mercedes-Benz and BMW, and even though every generation has been up there from a technology perspective. As Kriss explained, this won’t change with the new generation, which will go further in autonomous technology than any other car has ever gone so far, although there is one way in which the new A8 appears to take a (small) step back: ever since the first generation, the A8 has prided itself on its Aluminium Space Frame which reduced weight in order to compensate for the A8’s standard all-wheel drive technology compared to the rear-wheel drive setup of its competitors. In the outgoing generation, 92% of the bodyshell was made of aluminium, but this will be reduced to just 58% in the new generation, increasing the weight of its body from 230kg (509 lb) to 281kg (621 lb), even despite the use of some carbon fiber for the rear seat back. This is the result of steel offering better crash protection for the batteries of the plug-in hybrid version. In terms of design, the A8 makes a larger step from its predecessor than Audi’s recent launches A4, A5 and Q5, but Audi remains very conservative in a segment where buyers are more open to daring design than you’d expect (p.e. BMW 7-Series E65, Porsche Panamera).